Undeniably breathtaking to look at with it’s widescreen cinematography and gorgeous landscapes, A Touch of Zen is perhaps the first truly arthouse martial arts film. As such it’s influence can be seen in films such as Wong Kar Wai’s Ashes of Time, Zhang Yimou’s House of Flying Daggers, and Ang Lee’s Crouching Tiger, Hidden Dragon. As for the latter, Lee himself appears on the Criterion release giving an interview discussing his appreciation for the film and the influence it had on his Oscar winning film. There’s also an interview with notable writer and film commentator Tony Rayns, who briefly explains how A Touch of Zen came to be and what it all means. These interviews, along with interviews with lead actors Hsu Feng and Shih Chun, are all new material created specifically for this release. As with every Criterion release, the restoration looks fantastic. There’s more contrast and the images pop with vibrant color. They were able to remove blemishes and fix each frame to appear more like it might have when the film was initially released. It’s something we take for granted, but Criterion is known for their ability to clean up and present classic films for new generations of movie fans. The release here is no different. It is the definitive version of the film to own. There’s no questioning the artistry and technical achievement here. The problem, for me, is the story itself. The special features here help in understanding the desires King Hu had for the story he was trying to tell. And it’s certainly ambitious and manages to be both of its time and ahead of its time. 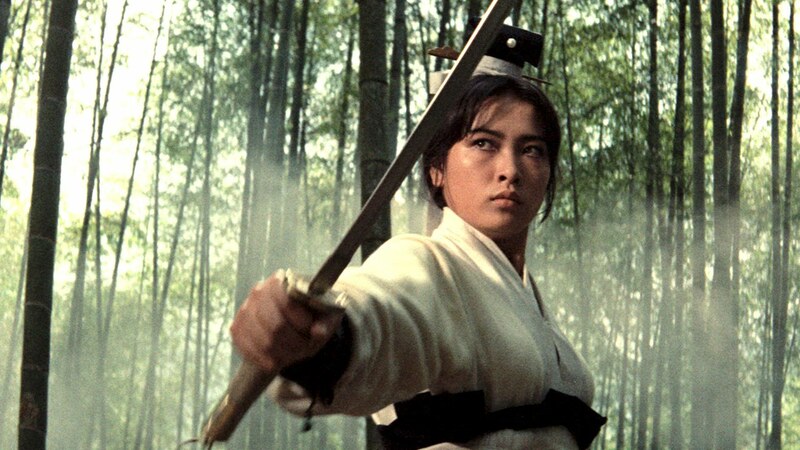 It’s ahead of its time in the fact that the central character is a tough, gritty female who has the martial arts prowess to stand toe to toe with the men in the film. Yet it’s also of its time in that it is the antithesis of the popular James Bond films about a government agent with a license to kill. King Hu hated the idea of agents with the freedom to kill without question. He understood the fact that it could breed further corruption in governments already prone to corruption. Instead we have a film where the secret agents with a license to kill are the bad guys, and the good guys are poor resistance fighters and religious figures in small town China. They turn to scholarly wisdom and the purity of religion to help win several battles against corrupt officials. And while these are noble, forward thinking ideals to have in your film, the excessive way it goes about those things continually causes the film to lose focus. For instance, It takes some time before we’re even introduced to the film’s central character Yang Hui-Zhen (Hsu Feng). If it begins as a slice of life portrayal of small town life in Ming Dynasty China, it soon turns into a political and militaristic thriller, and finally transforms itself once more into a separate tale of buddhist religion against corrupt political power. The only connective tissue between these three different acts is Yang. But she has so few lines of dialogue that she fades quickly into the background while other principal characters emerge and/or disappear. The first half of the film follows Gu (Shih Chun), a humble painter and calligrapher who lacks ambition much to the dismay of his nagging mother. However, after meeting Yang, he spends one amorous night with her and we begin to see him transform into a brilliant military strategist -- with a cunning plan involving playing up the enemy’s superstitious nature -- in order to give Yang and General Shi Wen-qiao (Bai Ying) a chance against superior numbers. The second half of the film has Yang leaving Gu and their newborn child behind in order to seek help from a powerful Buddhist monk named Hui Yuan (Roy Chiao). It then centers on the battle between Hui Yuan and the corrupt Commander Xu Xian-Chun. The “Touch of Zen” only really becomes a significant element of the plot within the last hour of this epic three hour and twenty minute film. The principal characters of the first and second half only feel like principal characters for a portion of the film’s runtime. Does it pass the Roger Ebert test to be a truly great film? He once said a film has to have at least three great scenes and no bad scenes. Is it tightly wound? Does it have any excess? These are the things we should consider when labeling films great. A Touch of Zen has at least 3 great scenes, but it also has tons of excess. 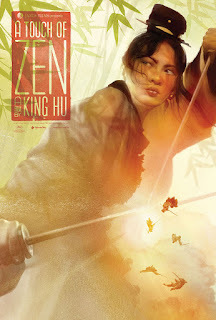 I dare say, A Touch of Zen is likely not King Hu’s his best film. Yet the obvious cultural, aesthetic, and technical significance is still plain to see. As such it rightfully deserves a place within the Criterion Collection, and stands as one of the highlights of King Hu’s career. He proved himself to be an inventive filmmaker both in terms of his action choreography and his editing technique. He was clearly doing things that hadn’t been done before. If it served as inspiration for films like Ashes of Time, House of Flying Daggers, and Crouching Tiger, Hidden Dragon, and likely countless other Wuxia films, it was well worth the effort. A what a beautiful film it is to look at. Criterion has packaged it together with a handful of interesting and worthwhile special features that will please any fan of this film.